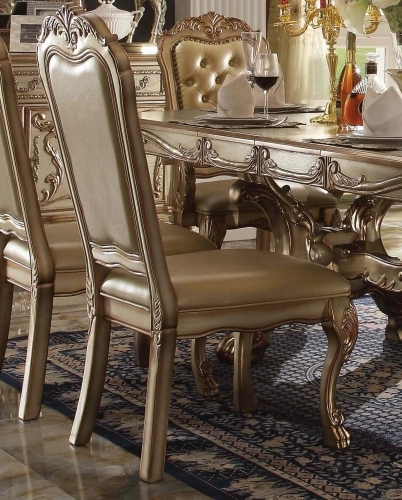 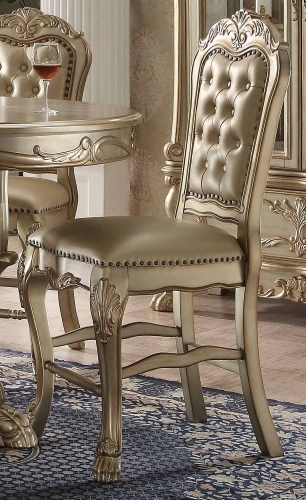 A new rendition to the classic Dresden, finished in gold patina, with a hint of gold. 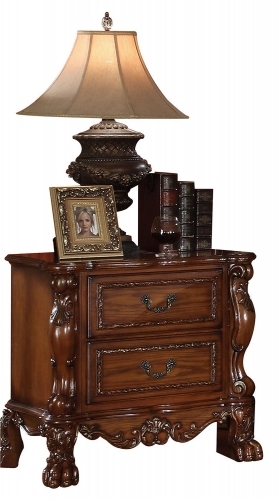 The antiqued look is further highlighted with a hand applied burnish. 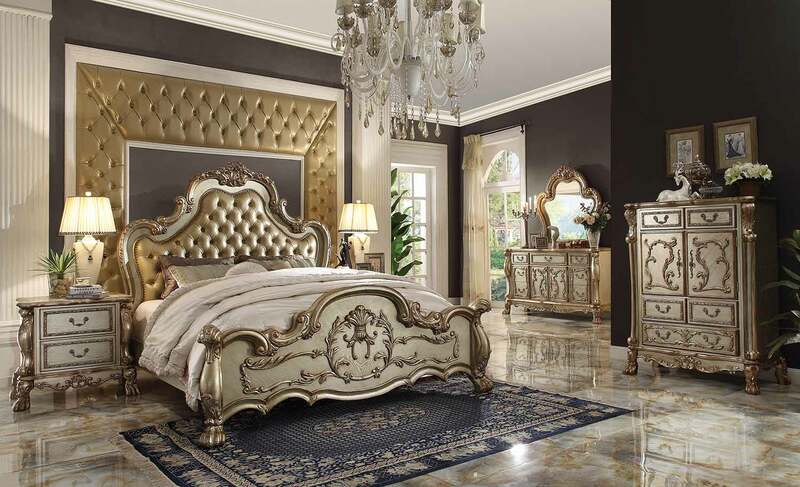 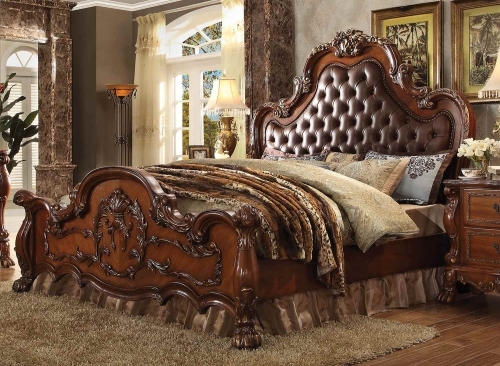 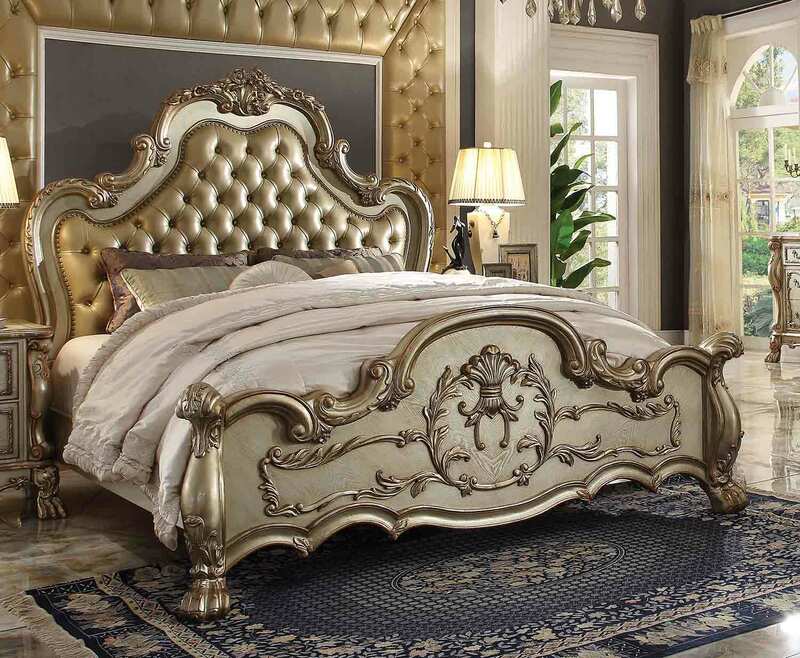 The bed is complemented by a thick, tufted upholstery surrounded with individual nail-heads, in matching leather like PU. 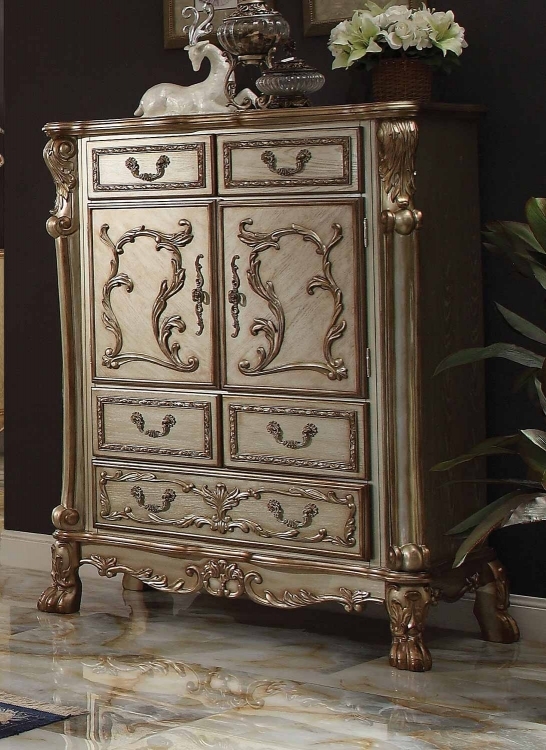 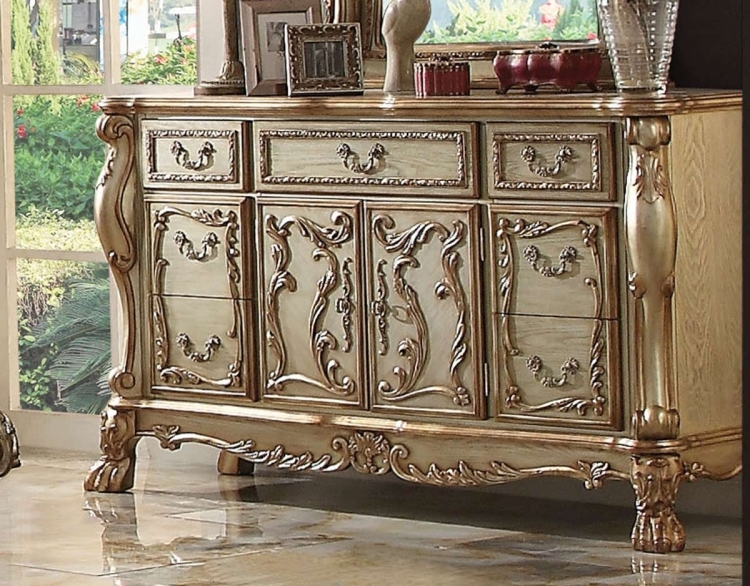 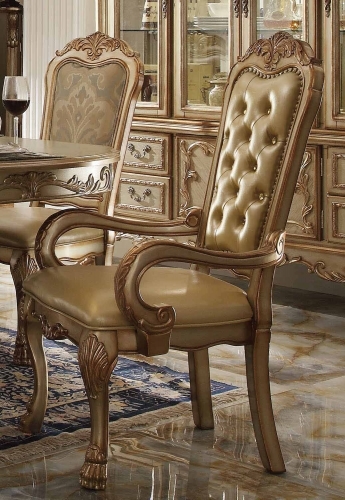 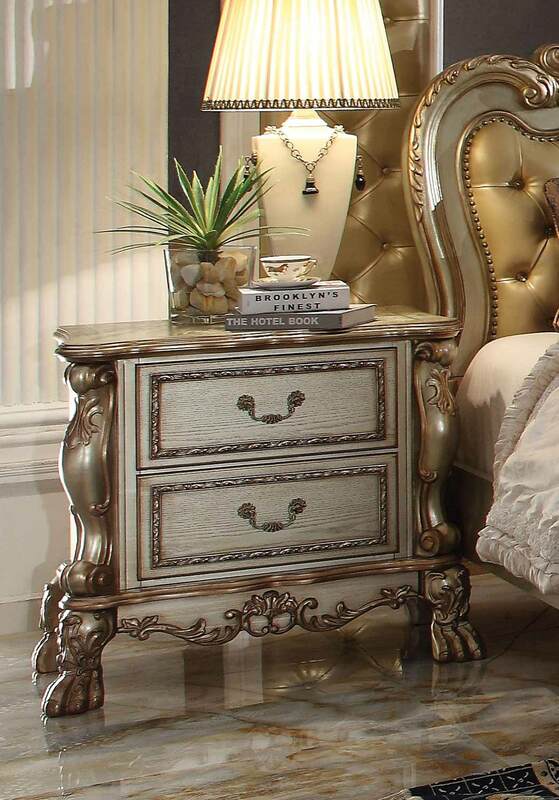 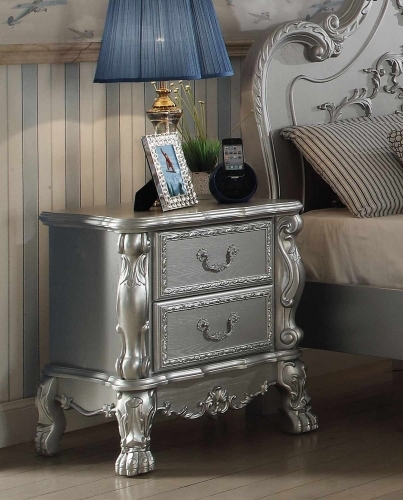 The Dresden nightstand is a new rendition to a classic style, finished in gold patina with a hint of gold. This mirror features a beautiful scrolled frame with beveled edges. 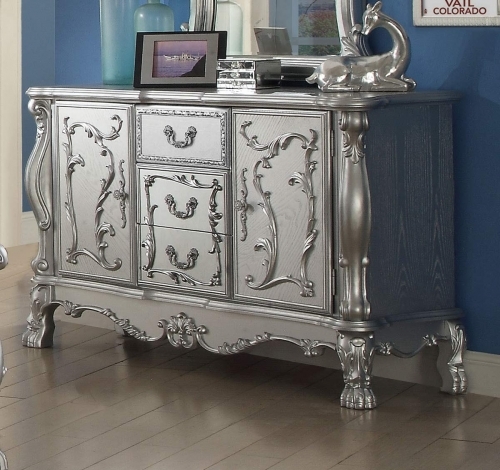 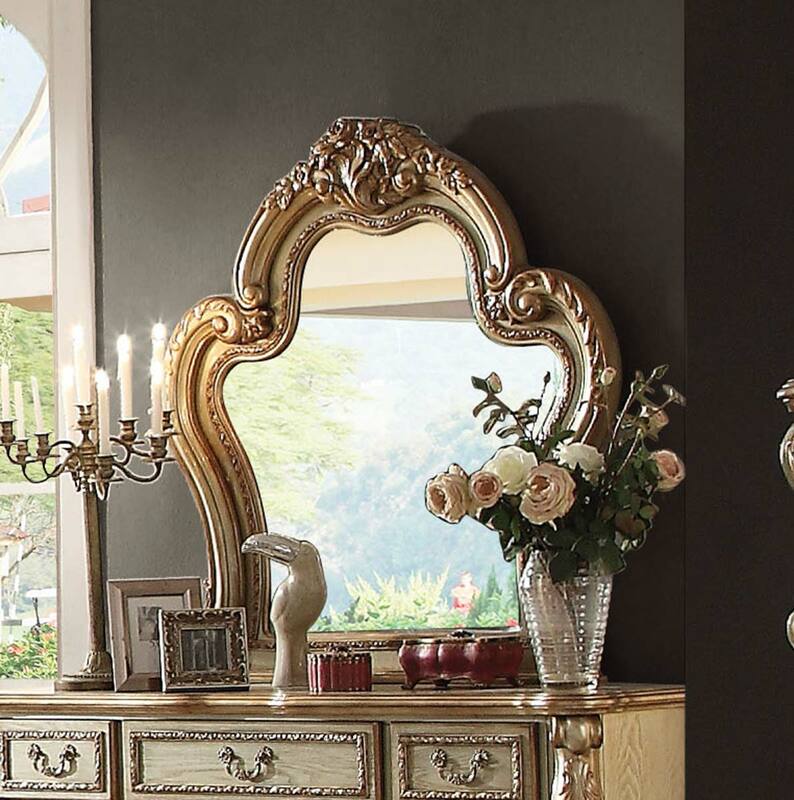 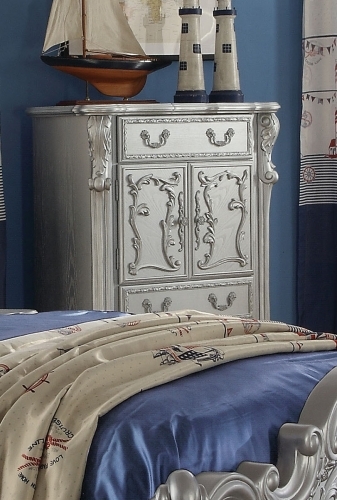 Add this mirror to any other piece from this collection to create the perfect bedroom. 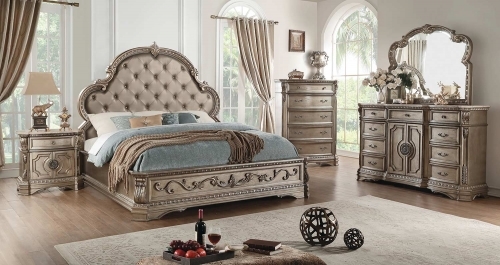 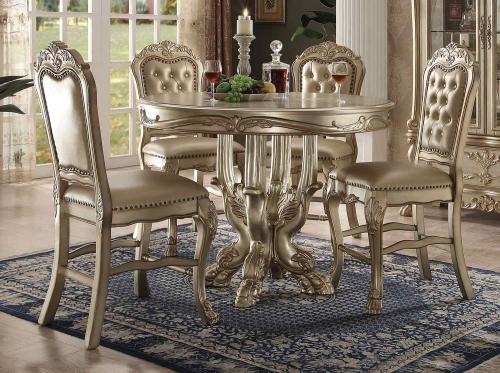 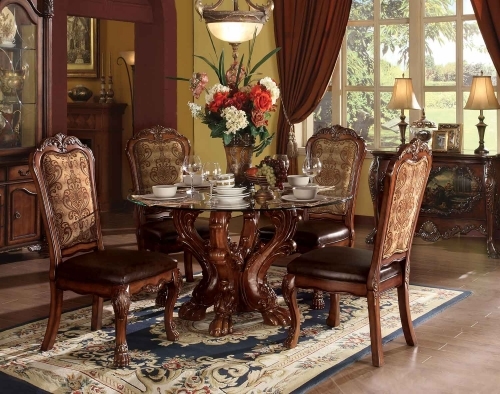 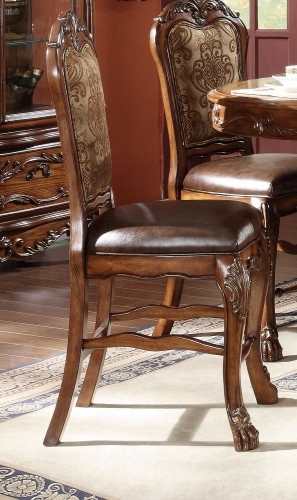 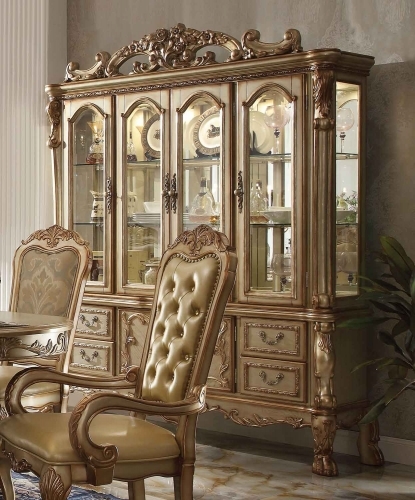 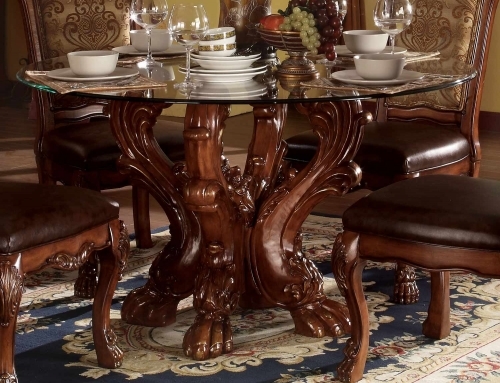 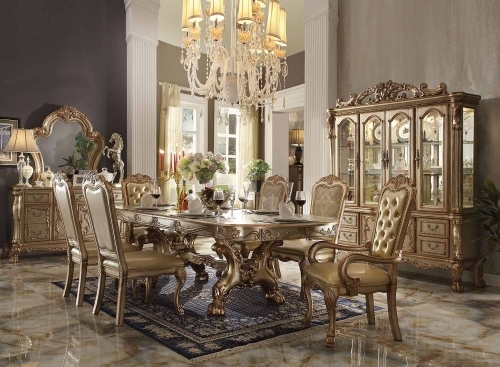 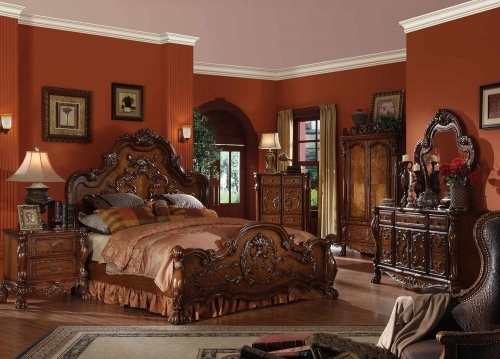 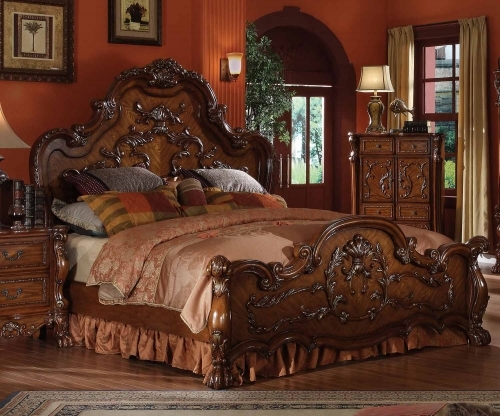 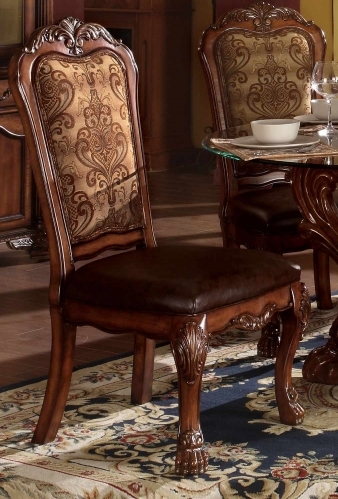 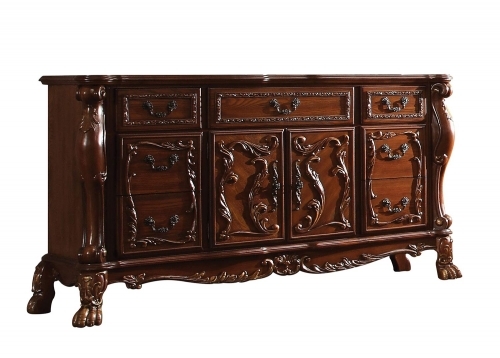 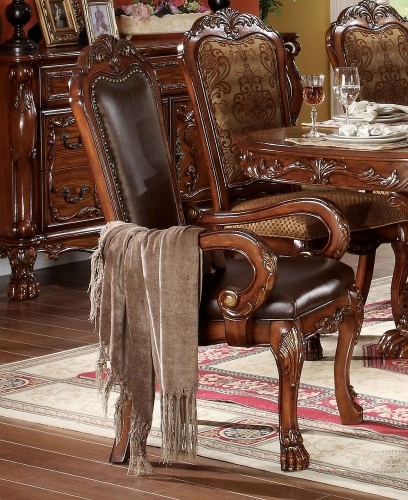 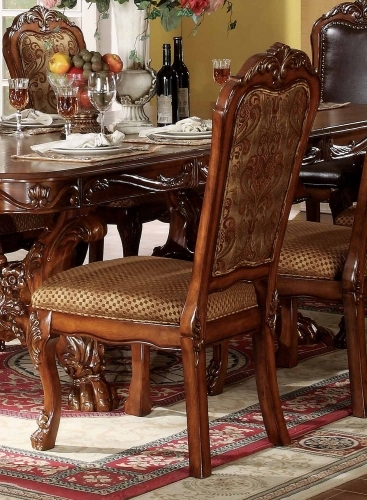 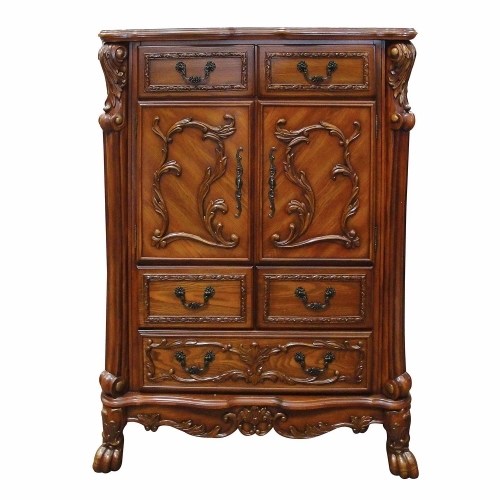 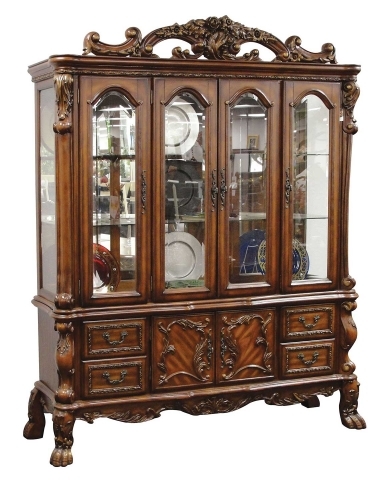 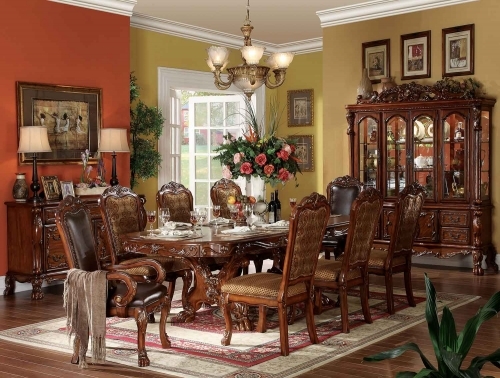 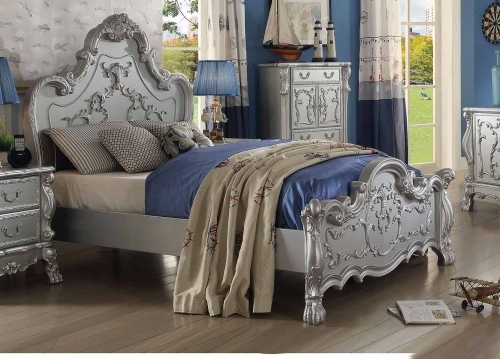 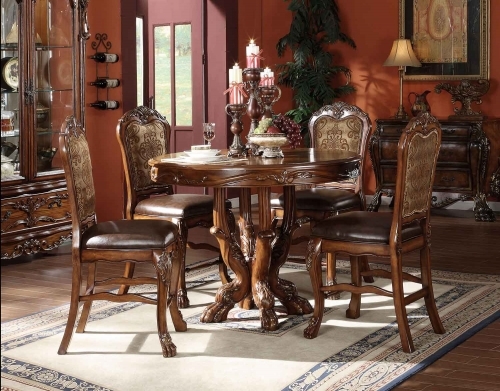 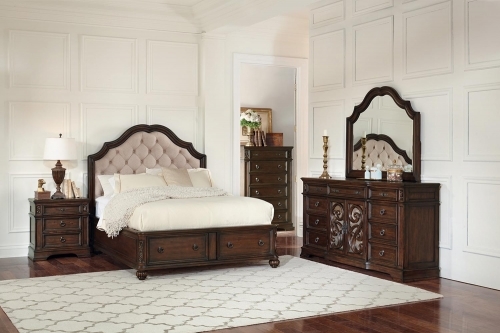 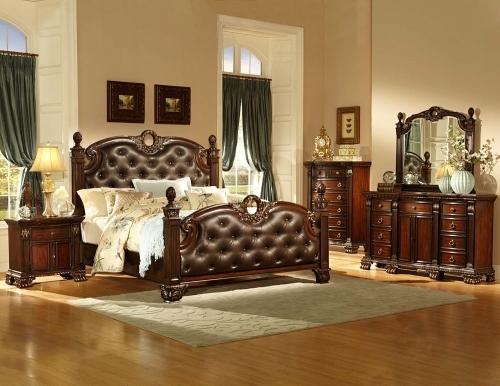 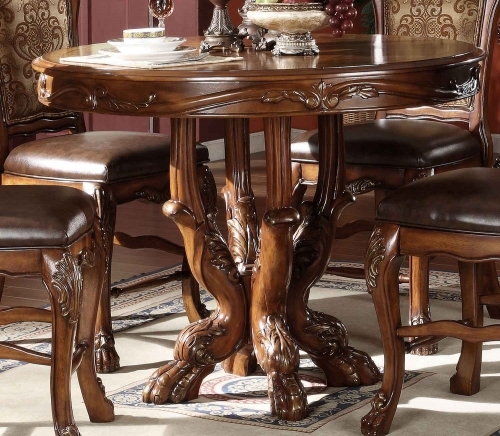 Acme Furniture provides style and value on various home furniture from bedroom furniture, dining furniture, living room, and more.